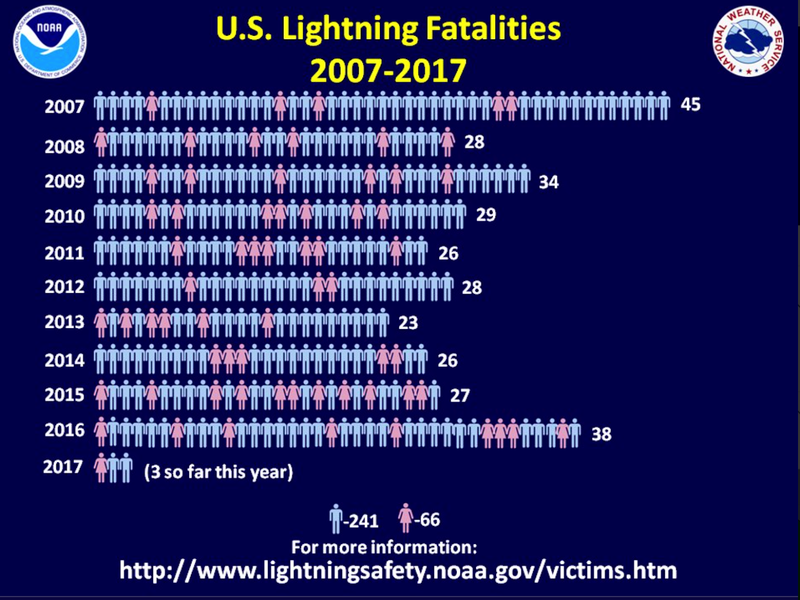 This is a very useful graphic from NOAA showing lightning deaths in the United States the last ten years. The vast majority of lightning deaths are men (blue). Unfortunately, the third of the year occurred yesterday, a construction worker in Florida.